The reviews are in and the critics love "Incredibles 2". The review embargo is lifted and Rotten Tomatoes has revealed their score of the critical consensus is in the high 90s making it "Certified Fresh". Currently is standing at 96% from 50 reviews with 48 rating it good or "fresh" and two as bad or "rotten". The consensus is "Incredibles 2 reunites Pixar's family crimefighting team for a long-awaited follow-up that may not quite live up to the original, but comes close enough to earn its name." Considering this is one of only a handful of Pixar sequels and brings back a cast of characters first seen over a decade ago it's looking good. "Incredibles 2" opens June 15, 2018, in the U.S.
Official synopsis: "In ‘Incredibles 2,’ Helen (voice of Holly Hunter) is called on to lead a campaign to bring Supers back, while Bob (voice of Craig T. Nelson) navigates the day-to-day heroics of “normal” life at home with Violet (voice of Sarah Vowell), Dash (voice of Huck Milner) and baby Jack-Jack — whose superpowers are about to be discovered. Their mission is derailed, however, when a new villain emerges with a brilliant and dangerous plot that threatens everything. But the Parrs don’t shy away from a challenge, especially with Frozone (voice of Samuel L. Jackson) by their side. That’s what makes this family so Incredible." Check back with the Geek Twins for more Incredibles 2 movie news and hype! 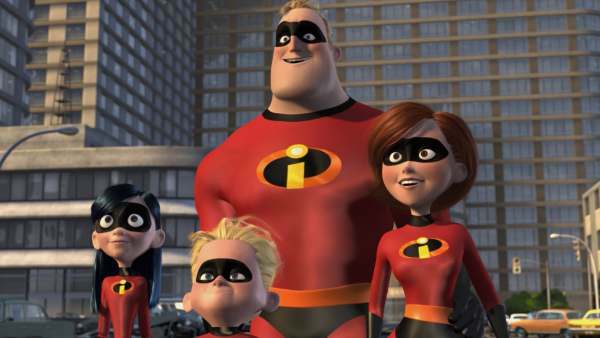 Are you looking forward to "Incredibles 2"? What do you think of the reviews of "Incredibles 2"?